Israel’s Defense Ministry issued a statement Sunday saying it had commenced construction of an above-ground barrier that complements a subterranean wall aimed at thwarting Hamas attack tunnels beneath the border. The new construction is being termed “the Upper Fence” and once finished, will be approximately 65 kilometers (40 miles) long. The fence’s construction comes after months of mass protests by Palestinians in Gaza along the border. 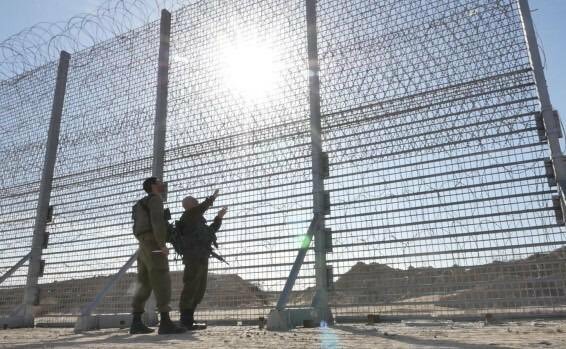 The barrier is comprised of an inductive fence that has been strengthened to protect Israel in the face of the current weekly-mob attacks. It is similar in its function to the barrier on the Egyptian border and it weighs more than 20,000 tons. This is the next phase in protecting the people of Israel. While the upper barrier is just one of the methods being used to work against the possible infiltrations of terrorists from Gaza. BUILD THAT WALL!!! BUILD IT TALL!! !